A teenager with "a troubled and violent background" has been jailed for 17 years for a horrific attack on an innocent woman who had just returned from an emotional visit to her daughter's grave. Dementia nurse Joanne Rand was resting on a bench after the visit when a fight erupted nearby and she was splashed from "head to toe" with acid. Mrs Rand, 47, suffered serious burns across her face, arms, upper body and lower legs after being doused with industrial strength corrosive sulfuric acid. She was taken to hospital but died of sepsis on 14 June 2017, 11 days after the attack.The first acid attack killing in the UK took place in High Wycombe, a town west of London, has resulted in the jailing of 19 year-old Xeneral Webster. The incident happened when Webster traveled from London to meet an associate. He then tried to steal a bicycle from a man he knew in High Wycombe but when that man resisted the theft, Webster pulled out the bottle of acid, removed the lid and threatened him with it. The man knocked the bottle out of Webster’s hand and it was kicked in Mrs Rand’s direction in the struggle. Webster fled the scene but was later arrested and charged. 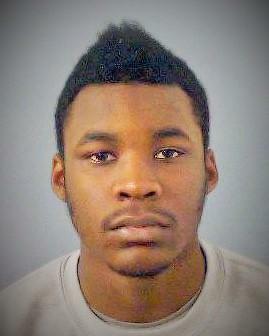 Webster pleaded guilty to the manslaughter of Mrs Rand at Reading Crown Court part-way through his murder trial. He was unable to even look at the sisters of the victim, Lynn Ryan and Jacqueline Joiner, when they read their impact statements to the court. She added: “Whatever sentence you get will never be enough to give us justice for the loss of Jo. “We would hate for this to happen to another family. Do you feel any remorse for what you did? You certainly seem to have no regard for anyone, and need to be held accountable for your actions." Ms Rand's daughter Katie Pitwell told Webster in her statement: “You not only destroyed her life, but all of ours too." Ms Rand's sister Lynn earlier described to the court how the victim's two children watched their mother die as her condition deteriorated with every passing day. "The day before Jo died I will never forget the look in her eyes when she asked me, 'am I going to die? '," she said. Adrian Foster, from the Crown Prosecution Service, said: “Joanne Rand was not the intended victim of the attack but the prosecution was brought on the basis that by producing an open bottle of acid and raising it to the face of another man, Xeneral Webster intended to cause that individual really serious harm. “Had Webster not planned to seriously hurt the intended victim, Joanne would still be alive today and he is responsible for her death.